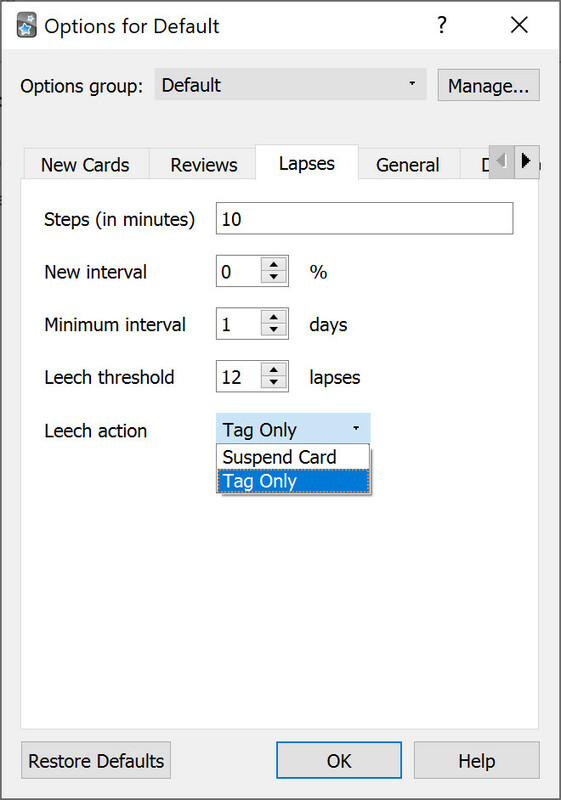 Anki can help you identify leeches. Each time a review card lapses (is failed while it is review mode), a counter is increased. When that counter reaches 8, the note is tagged as a leech, and the card is suspended. The threshold, and whether to suspend or not, can be adjusted in the deck options. There’s more to life than being happy? Many psychologists define happiness as a state of comfort and ease, feeling good in the moment. Meaning, though, is deeper. The renowned psychologist Martin Seligman says meaning comes from belonging to and serving something beyond yourself and from developing the best within you. Our culture is obsessed with happiness, but I came to see that seeking meaning is the more fulfilling path. And the studies show that people who have meaning in life, they’re more resilient, they do better in school and at work, and they even live longer. We live our lives as if the common cause principle were true. Whenever we see patterns, we look for a causal explanation. In fact, we hunger for an explanation, in terms of stable mechanisms that lie outside the data. The most satisfying kind of explanation is direct causation: X causes Y. When that fails, finding a common cause of X and Y will usually satisfy us. By comparison, colliders are too ethereal to satisfy our causal appetites. A→B←C. This is the most fascinating junction, called a “collider.” Felix Elwert and Chris Winship have illustrated this junction using three features of Hollywood actors: Talent→Celebrity←Beauty. Here we are asserting that both talent and beauty contribute to an actor’s success, but beauty and talent are completely unrelated to one another in the general population. We will now see that this collider pattern works in exactly the opposite way from chains or forks when we condition on the variable in the middle. If A and C are independent to begin with, conditioning on B will make them dependent. For example, if we look only at famous actors (in other words, we observe the variable Celebrity = 1), we will see a negative correlation between talent and beauty: finding out that a celebrity is unattractive increases our belief that he or she is talented. This negative correlation is sometimes called collider bias or the “explain-away” effect. For simplicity, suppose that you don’t need both talent and beauty to be a celebrity; one is sufficient. Then if Celebrity A is a particularly good actor, that “explains away” his success, and he doesn’t need to be any more beautiful than the average person. On the other hand, if Celebrity B is a really bad actor, then the only way to explain his success is his good looks. So, given the outcome Celebrity = 1, talent and beauty are inversely related—even though they are not related in the population as a whole. Even in a more realistic situation, where success is a complicated function of beauty and talent, the explain-away effect will still be present. This example is admittedly somewhat apocryphal, because beauty and talent are hard to measure objectively; nevertheless, collider bias is quite real, and we will see lots of examples in this book. Try this experiment: Flip two coins simultaneously one hundred times and write down the results only when at least one of them comes up heads. Looking at your table, which will probably contain roughly seventy-five entries, you will see that the outcomes of the two simultaneous coin flips are not independent. Every time Coin 1 landed tails, Coin 2 landed heads. How is this possible? Did the coins somehow communicate with each other at light speed? Of course not. In reality you conditioned on a collider by censoring all the tails-tails outcomes. The correlation we observe is, in the purest and most literal sense, an illusion. Or perhaps even a delusion: that is, an illusion we brought upon ourselves by choosing which events to include in our data set and which to ignore. It is important to realize that we are not always conscious of making this choice, and this is one reason that collider bias can so easily trap the unwary. In the two-coin experiment, the choice was conscious: I told you not to record the trials with two tails. But on plenty of occasions we aren’t aware of making the choice, or the choice is made for us. The distorting prism of colliders is just as prevalent in everyday life. As Jordan Ellenberg asks in How Not to Be Wrong, have you ever noticed that, among the people you date, the attractive ones tend to be jerks? Instead of constructing elaborate psychosocial theories, consider a simpler explanation. Your choice of people to date depends on two factors: attractiveness and personality. You’ll take a chance on dating a mean attractive person or a nice unattractive person, and certainly a nice attractive person, but not a mean unattractive person. It’s the same as the two-coin example, when you censored tails-tails outcomes. This creates a spurious negative correlation between attractiveness and personality. The sad truth is that unattractive people are just as mean as attractive people—but you’ll never realize it, because you’ll never date somebody who is both mean and unattractive. [I]n a collider, A→B←C, exactly the opposite rules hold. The variables A and C start out independent, so that information about A tells you nothing about C. But if you control for B, then information starts flowing through the “pipe,” due to the explain-away effect.